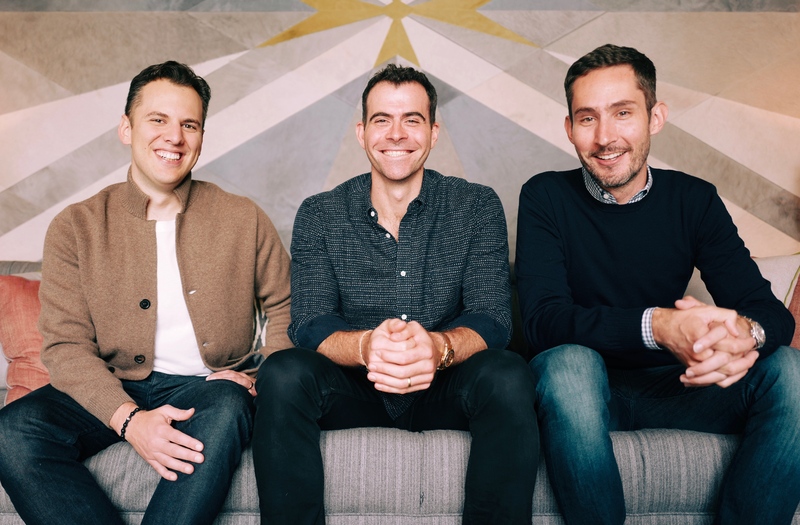 Following the news last week that Instagram co-founders Kevin Systrom and Mike Krieger would be leaving the Facebook-owned app, the company has this week announced that former Facebook News Feed VP Adam Mosseri will be taking over the lead role at the growing social giant. "We are pleased to announce that Adam Mosseri, our current Vice President of Product, will become the Head of Instagram starting today. We're thrilled to hand over the reins to a product leader with a strong design background and a focus on craft and simplicity - as well as a deep understanding of the importance of community. These are the values and principles that have been essential to us at Instagram since the day we started, and we’re excited for Adam to carry them forward." Note the emphasis on 'importance of community'. According to various sources, Systrom and Krieger had regularly clashed with Facebook management over the best way forward for the app that they'd created, with the duo standing firm to the community ethos they'd founded the platform on, as Facebook looked for more opportunities to add more users, and maximize those extra eyeballs with ad content. That makes sense from both perspectives, but the concern now is that Instagram could see some significant, potentially negative changes without the founders there to push back on some of Facebook's more aggressive growth and monetization moves. If that is, indeed, the case. While there are various reports of such disagreements, not a lot of internal gossip makes it beyond the walls of Facebook HQ, and non-disclosure agreements limit any such revelations. Given this, much of said speculation has been adapted from smaller seeds of stories - the only people who know the full explanations are likely the main players themselves, and as such, what, exactly, has taken place is likely to remain a secret. But the question now turns to what will become of Instagram under Mosseri. To most in the tech press, Mosseri's appointment comes as little surprise - Mosseri built a good reputation in his time leading Facebook's News Feed (arguably been one of the most high-pressure positions within the company), and was shifted to Instagram back in May as part of a management reshuffle in the wake of WhatsApp founder Jan Koum's exit. Given his rise through the ranks, it makes sense to see Mosseri move into a larger role - though it is worth noting that his title is 'Head of Instagram', not 'CEO'. Maybe a subtle reminder that Zuck and Co. will now definitively call the shots. In terms of Mosseri's focus, his work on the News Feed algorithm shows that he has a very good understanding of social sharing dynamics, and the capacity to make tough decisions based on usage trends and feedback. Mosseri, for example, ran regular information and Q and A sessions on how the News Feed works, within which he provided transparent, informative responses, underlining his approach and system knowledge. Some within tech circles have suggested that Facebook is facing a crisis of confidence without Instagram's founders - that The Social Network needs to have Mosseri come out quickly and outline his approach in order to quell concerns of major changes incoming. But that seems more of an insider concern - the majority of Instagram users likely don't even know who Kevin Systrom and Mike Krieger are, and they won't be highly concerned about a management change. Until, of course, something significant is announced. So what can we expect from Mosseri? I don't think anyone knows for sure - I'm not sure even Mosseri knows, though it does seem likely that we'll see the introduction of more monetization tools, and potentially, algorithm updates, in order to tap into usage trends and potential. The departure of Instagram's founders now could also signal that something significant is coming, and that they wanted to move on ahead of it, but it may also just be that the time had come - the platform had moved beyond what they'd originally intended or created, and it made sense for them to step aside and let Facebook have it. Essentially, we don't know what this will mean for Instagram, but at a billion users and growing, it would take some very significant shifts to damage the app's growth momentum. And Mosseri's understanding of social platform dynamics likely won't allow for that.